Roughly 30 years ago, I was first sports editor (1985-86) and then editor in chief (1986-87) of The Pitt News. While I was editor in chief, I had the honor of presenting to Murray Chass the Leo Koeberlein Award, which at the time was presented annually to an alum of The Pitt News who went on to achieve notable professional success. Murray Chass, who went on to cover the Yankees for The New York Times and became one of the foremost experts among MLB scribes regarding the business of baseball, fit the bill. It was an honor to meet him that evening in the William Pitt Union ballroom. That all said, I could not disagree more with the misguided views he expressed in his Sept. 9, 2018 op-ed piece. According to Mr. Chass, who apparently was horrified by the 51-6 loss to Penn State, “[t]here are high school students in western and central Pennsylvania who watched that game, and Pitt won’t win any of those [students] who are torn between the schools.” This is not 1960, Mr. Chass. During the current school year, Oakland campus students are from 50 states, three territories, the District of Columbia and 102 countries. Further, in the current freshman class at the Oakland campus, the middle 50 percent SAT score range was 1280-1420. As I understand it, that means roughly half of those who matriculated (the middle 50 percent) had SAT scores within that range. Another 25 percent were above 1420, and the remaining 25 percent were below 1280. My ultimate point is that the Pitt of 2018 is much different than 30 or 60 years ago. 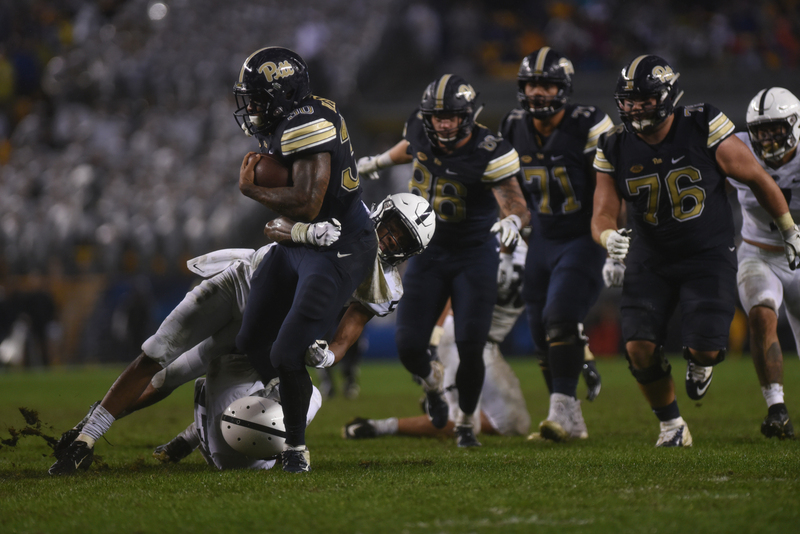 Pitt is not vying for students from Nanty Glo whose other option is Penn State, and whose decision might be influenced by the score of a football game. Those days, assuming they ever existed, are long gone. Mr. Chass also wrote that “[a] debacle like that 51-6 loss won’t attract donors either … [and] a disaster on the football field can turn students and donors away, thinking, ‘Why take a chance on a college having a good English department, or a worthwhile physics program, when it allows a football team to be humiliated by a neighbor?’” That statement is as idiotic and ridiculous as the statements often heard from Penn State supporters, who contend that empty Heinz Field seats suggest that Pitt alumni do not support their university. Let me set the record straight — The University of Pittsburgh has an endowment of $3.95 billion dollars, which recent statistics show places Pitt 27th in the nation, ahead of likes of Johns Hopkins, Brown, North Carolina, Michigan State, Cal Tech and almost double that of Carnegie Mellon. As for our neighbors to the east, Penn State is 26th (one place ahead of Pitt) with an endowment of $3.99 billion, even though its annual undergraduate enrollment historically has been double that of Pitt’s undergraduate enrollment. Those are the facts. To suggest that a football game could impact donations ignores those facts, which frankly disprove Murray’s point. Finally, Pitt’s commitment to football and its resulting membership in the ACC provides substantial revenue to the university and its athletic department. According to tax documents reviewed by USA Today (as was reported in May 2018), the ACC paid each football member of the conference between $25.3 million and $30.7 million for the 2017 fiscal year. That money funds not only football but all the other sports in which Pitt competes, all of which are important elements of campus life. Mr. Chass ultimately contends that Pitt should “de-emphasize football and play a schedule a couple of levels below the major leagues.” I can only assume he missed the Clemson game two years ago and the Miami game last year. At end, he presented no facts to support his ultimate point, and his uneducated opinion should be ignored by all. James S. Urban was the sports editor and editor in chief of The Pitt News. He graduated from Pitt in 1987.